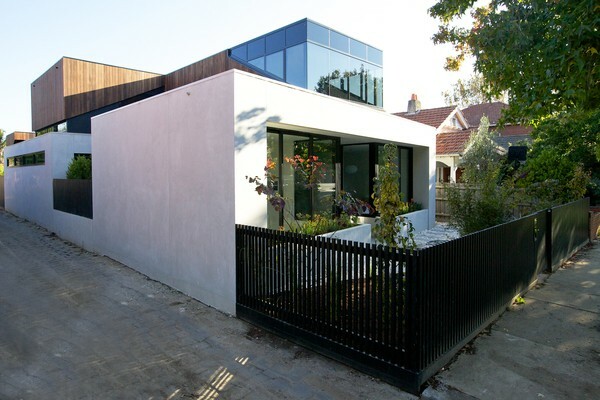 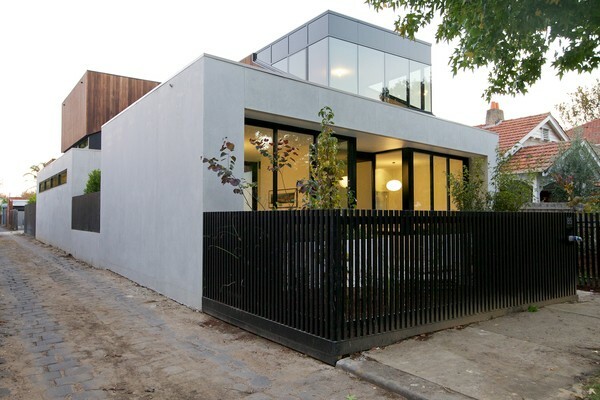 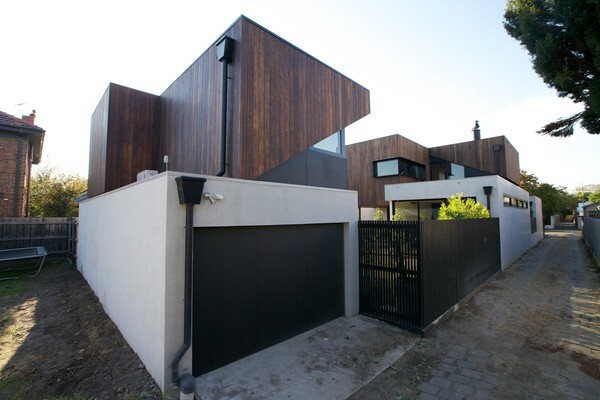 The Elwood House is a new residential dwelling with a separate garage and studio to the rear. 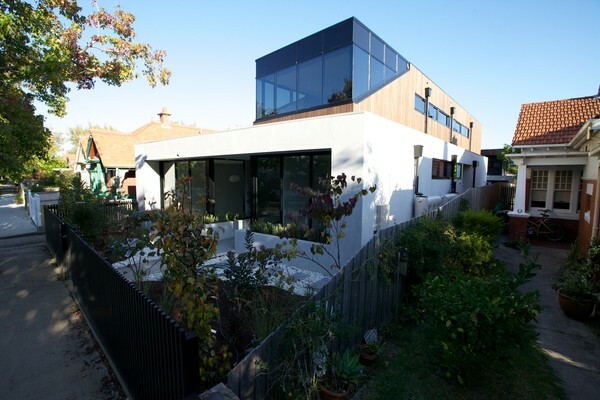 The client’s brief was for a modern family home that was interesting and exciting but not to the detriment of the comfort to the occupants and within a sensible budget. “The client wanted a house that was clean, distinctive and enjoyable to use without feeling like they were an object in their own home because it was of a contemporary design” says the architect, Patrick Jost. 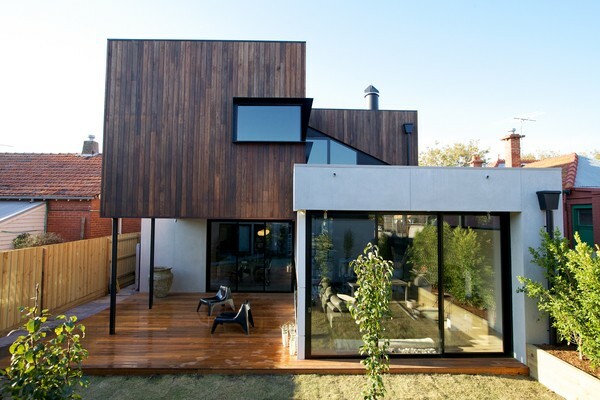 Conceptually, the house is separated into two clearly defined upper and lower element. 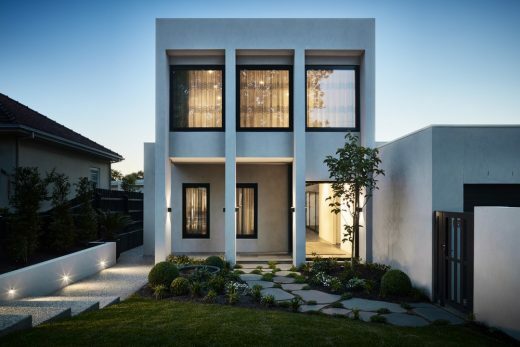 The lower is a solid masonry form, giving the impression that a block has been carved and hollowed out revealing areas of the interior from different external views and in turn creating views of the surrounding area from the inside. 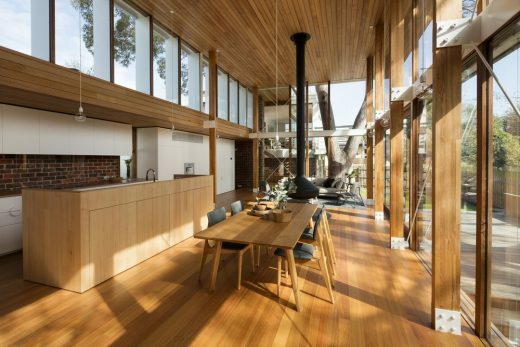 The timber clad upper level sits over the top as a lighter, more private element. This interacts with its solid base, cantilevering over some areas to create more sheltered spaces and set back in others to be open to the environment. A flat roof was used to reduce the height of the structure within the street. 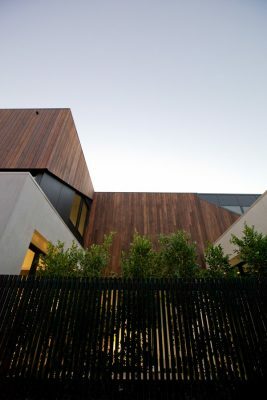 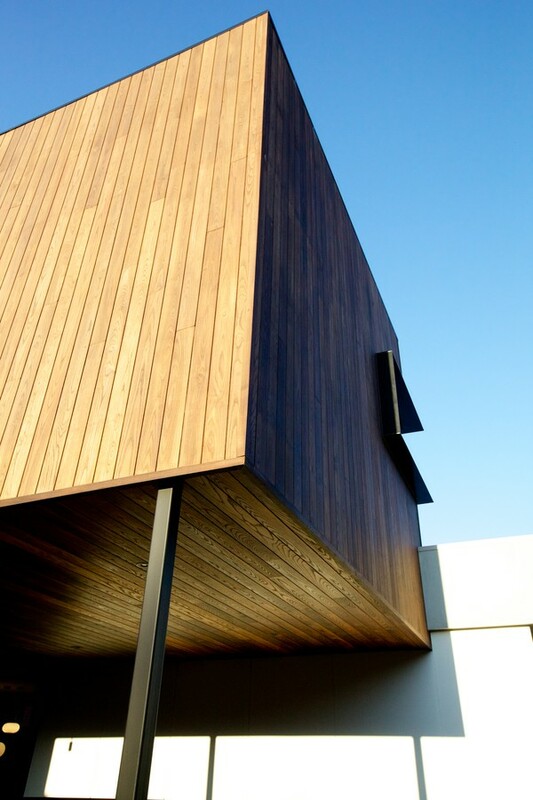 The arrangement of the cladding, with angled junctions between the timber and cement sheet cladding and glazing negated the “boxy” form that is so often associated with current, modern buildings. 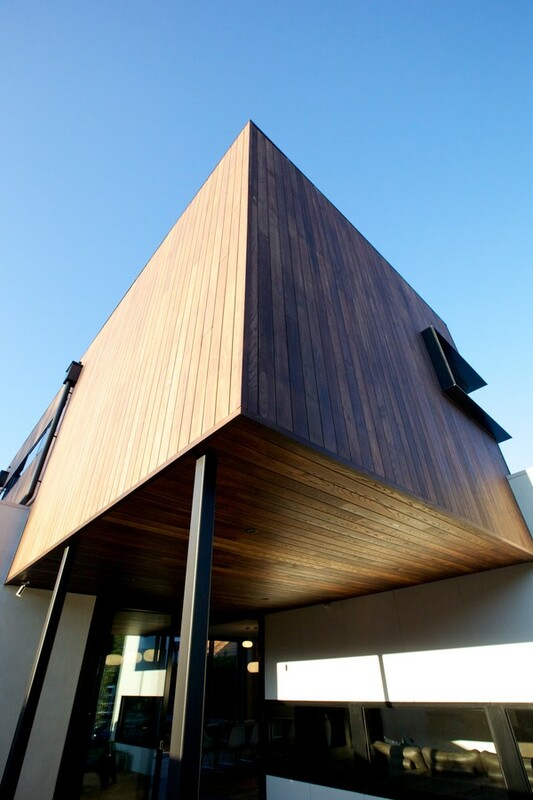 These angles also reference the pitched roof angles of the neighbouring properties. 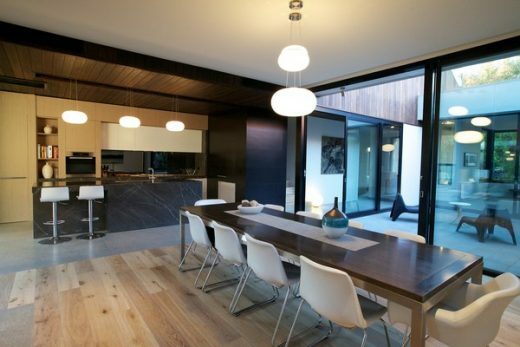 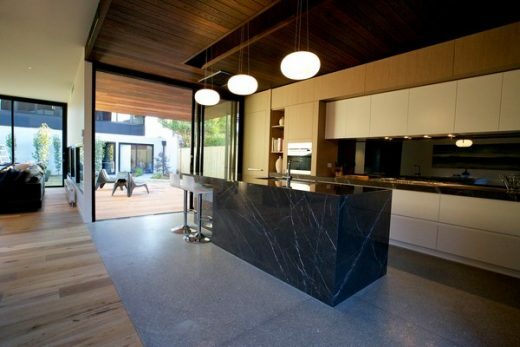 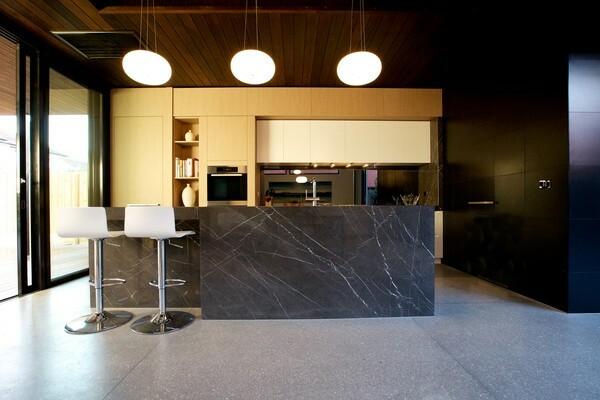 Internally, a combination of simple, natural and low maintenance finishes create an inviting and clean aesthetic. 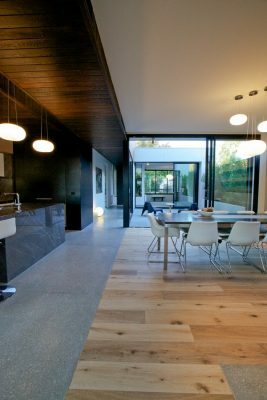 The living areas, including an internal courtyard between the formal living and dining area on the ground level, are separated by large double glazed sliding doors. 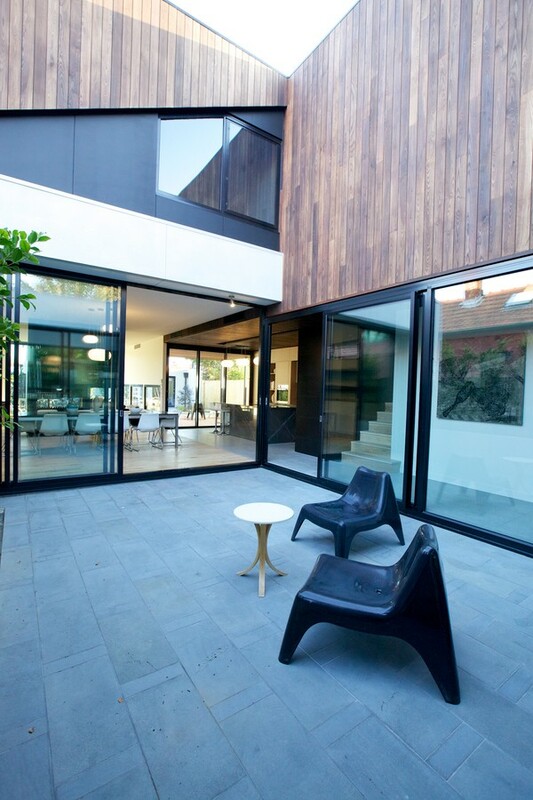 When open these doors allow the spaces to be visually combined, right through from the front to the rear of the main house. When closed, due to the reflection generated by the glass layers of the doors, make each space more intimate and private. While the client’s brief was not specific in requesting that the building was to be environmentally sustainable, the practice’s design principles endeavored to deliver an energy efficient home through sensible planning and layout. 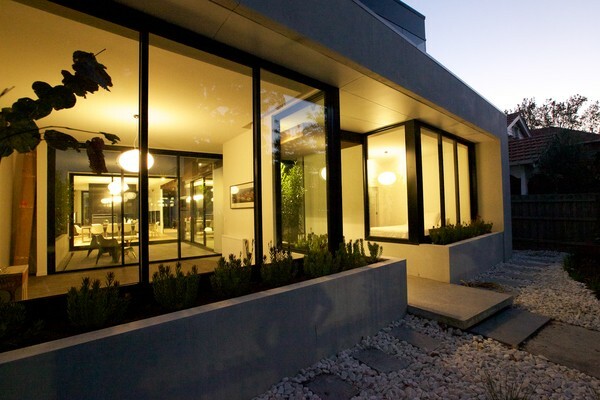 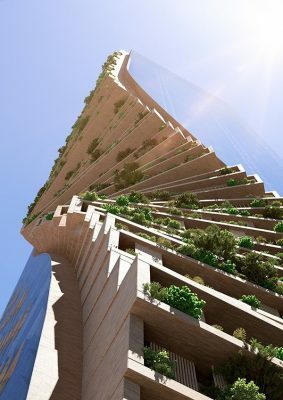 We think that a building should perform according to its local environment such as allowing plenty of natural light and ventilation without relying solely on the use of mechanical heating or cooling to be comfortable. 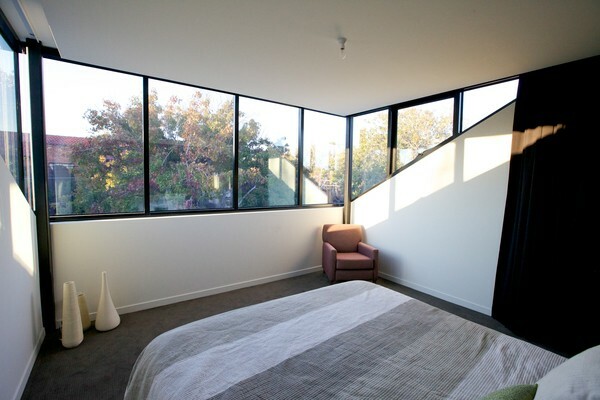 The glazing is primarily orientated to the north and east and sunlight is controlled by built form such as the position of main elements of the building or eaves overhangs. 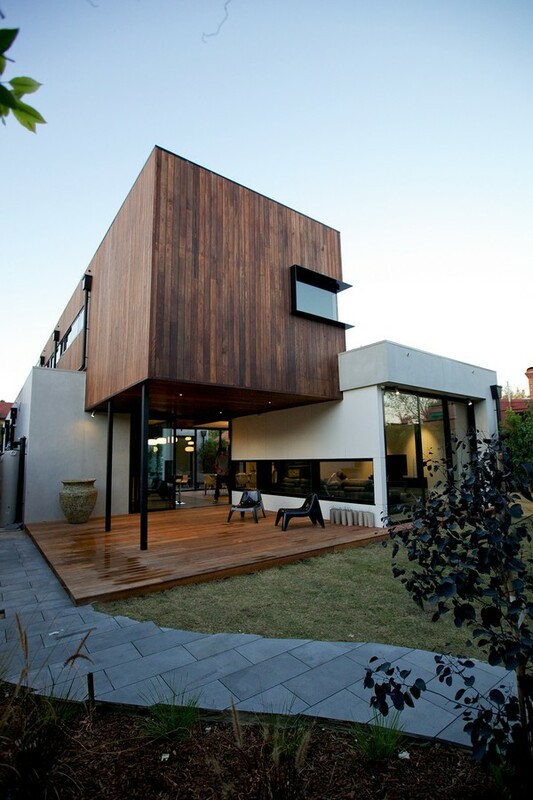 And areas facing west and south are made up of more bulk structure increasing thermal mass as required. Standard domestic wall construction has been combined with high performance insulation and air gaps to improve thermal performance, double glazing is used throughout the house and building products such as engineered flooring and sustainable timber cladding were particular environmental decisions. The conscious architectural decision to evenly spread the level of finish over the whole project rather than concentrating on any one part meant the quality of the aesthetic is consistent throughout the whole house and coupled with a careful overall building arrangement that minimized structural complexity meant the project was simple to build, came in on budget and had a high level of design quality.